SXnavo will help you to lower the fleet usage cost and minimize the risk of theft and hijacking. Customers report big savings on fuel consumption, recovered vehicles and merchandise. 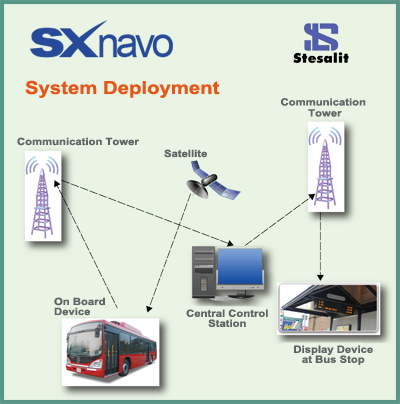 SXnavo will help service companies and Utility organizations to dispatch their vehicles in an optimal way. Customers report cost savings and increased service levels for selecting the most appropriate vehicle for service and repair assignments. SXnavo helps you to quickly locate the closest available vehicle for an assignment. This minimizes unnecessary driving and lowers the time to complete assignments. SXnavo keeps track of how the vehicles are used so that you can look back at the status and the position of each vehicle at any point in time. Get an email or SMS alert when an asset or vehicle is stolen or used outside approved working hours. Track it in real time from your mobile phone for fast recovery. SXnavo’s easy-to-use reporting system makes it simple to track your fleet on your own time. Generate fully customizable reports based on your informational needs and access them at your convenience. You may view up to 12 months of historical reports at any time. When you need information right away, use our text notification system. Have text alerts sent to your cell phone when a driver starts his day, exceeds speed limits, enters an unauthorized area or for vehicle use during off hours.